"Since January 2008 the private sector has lost nearly 8 million jobs while local, state and federal governments added 590,000." — Tim Pawlenty on Monday, December 13th, 2010 in an op-ed in the "Wall Street Journal"
By Louis Jacobson on Thursday, December 16th, 2010 at 11:28 a.m.
Tim Pawlenty, a potential Republican presidential candidate, ran afoul of the Truth-O-Meter for a statement about the expansion of the government workforce. In the Dec. 13, 2010, edition of the Wall Street Journal, outgoing Minnesota Gov. Tim Pawlenty -- a potential contender in the 2012 Republican presidential primary -- wrote a column that blasted public-employee unions. Pawlenty wrote that government employees, especially those who are unionized, have become unfairly advantaged compared to private-sector workers, through a "silent coup, an inside job engineered by self-interested politicians and fueled by campaign contributions." "The majority of union members today no longer work in construction, manufacturing or 'strong back' jobs," Pawlenty wrote. "They work for government, which, thanks to President Obama, has become the only booming 'industry' left in our economy. Since January 2008, the private sector has lost nearly 8 million jobs while local, state and federal governments added 590,000." We thought we'd take a look at one of the cornerstones of Pawlenty's column -- his contention that the private sector lost nearly 8 million jobs while government added 590,000. To see if he was right, we turned to the Bureau of Labor Statistics, which calculates a wide range of labor and employment statistics on a monthly basis. But Pawlenty's public-sector figures were problematic. The BLS has a category called government employment -- which encapsulates local, state and federal employment, just as Pawlenty had defined it. Over the same period, the number of government jobs went from 22,379,000 to 22,261,000 -- a decrease of 118,000, rather than an increase of 590,000, as Pawlenty had written. At first we were flummoxed about how Pawlenty got the numbers so wrong. We called BLS to make sure we weren't overlooking another data set that measured the same subject, and spokesman Gary Steinberg confirmed that we were using exactly the same numbers he would use. We also looked at federal employment trends over the same period, on the guess that Pawlenty might have meant to refer to federal jobs, rather than all government jobs. By this calculation, the number of jobs did increase, rather than decrease, but the amount was only one-sixth of what Pawlenty had indicated. Over that period, federal employment rose from 2,739,000 to 2,837,000 -- 98,000 jobs in all. After a bit of online research, we found a reference to the mysterious 590,000 number in -- of all places -- a fact-check by our colleagues at PolitiFact Ohio. It turns out that on Aug. 10, 2010, they analyzed a statement by Rep. Steve LaTourette, R-Ohio, that "since the president became the president, we have lost 3.3 million jobs in the private sector. But you know who's done okay and who's not complaining today? The public sector. We've gained 590,000 public sector jobs." "In January 2009, there were 2,803,000 federal employees. By May, there were 3,396,000 federal workers. That’s a gain of 593,000, putting LaTourette on the money. But here’s the problem. BLS makes clear, the White House makes clear, and every major news report makes clear when these numbers are released each month that the stimulus had little to do with the growth of the federal workforce. Most of it -- 559,000 new jobs from January 2009 through May – came entirely from the temporary buildup of Census workers. And many of those jobs have already disappeared. ... Exclude all the Census workers hired from January 2009 through May 2010 and total federal hiring comes to only 34,000, not the 590,000 figure that LaTourette cited." 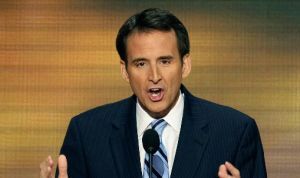 • When we see Pawlenty saying "since January 2008," we assume he means from January 2008 to the present. But the numbers he used appeared to be based on the change from January 2009 to May 2009. • Pawlenty specifically wrote that his job numbers referred to "local, state and federal government" employment, but LaTourette's 590,000 only counted federal workers. • Pawlenty's statement doesn't account for the tremendous -- and now vanished -- bump from hiring Census workers. The closest we could come to a 590,000 job gain using a legitimate statistic was a measurement suggested by Rea Hederman Jr., a research fellow at the conservative Heritage Foundation. He suggested looking at the federal workforce minus U.S. Postal Service employees. Postal workers are a different enough category of employee that the BLS does calculate a statistic that excludes them from the federal workforce, and that statistic shows an increase in federal employment since January 2008 of 215,700 employees. But that's still barely one-third of the total Pawlenty cited, and to get to it, you still have to directly contradict the definition of government workers that Pawlenty used in his column. The question of whether government employees, because of public-employee unions, are compensated too generously or enjoy too much job security strikes us as a fair topic for debate. But Pawlenty did his cause no service by using the 590,000-employee statistic. Not only did he apparently mangle the time frame, contradict his own definition of federal workers and fail to acknowledge the huge caveat of Census worker hiring, he also repeated a statistic that had been criticized as inaccurate as long as six months ago. (Another politician who got caught by PolitiFact Ohio was the incoming House Speaker, John Boehner, R-Ohio.) And in the context of his column, the job numbers comment was more than a throwaway line. The comparison of job growth he made -- which showed the size of the federal workforce going in exactly the opposite direction as it did in reality -- is a key pillar supporting the premise of his column, that government work is "the only booming 'industry' left in our economy." Pawlenty's number is so compromised that we rate his statement Pants on Fire! UPDATE: After we posted our story, a spokesman for Pawlenty, Alex Conant, contacted PolitiFact to report that the source for Pawlenty's 590,000-job figure was a June 24, 2010, post by Veronique de Rugy, a senior research fellow at George Mason University's Mercatus Center, on the Big Government site run by conservative activist Andrew Breitbart. After looking at what de Rugy wrote, we stand by our analysis that the 590,000 number doesn't encapsulate the time frame or definition set out by Pawlenty in his Wall Street Journal op-ed, and that it is still skewed by a large bump in temporary Census jobs. Published: Thursday, December 16th, 2010 at 11:28 a.m.